The PRTXD Series are two-wire transmitters that provide a 4 to 20 mA signal representing temperature. The units include a 3 1/2 digit display and the RTD sensor. The NEMA 4X (IP66) housing protects the electronics. Units are available with 4 inch or 12 inch fixed length or spring loaded RTD probes. 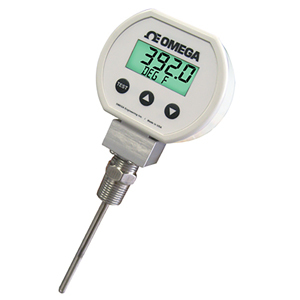 Spring loaded RTD probes provide good thermal contact when used in thermowells. 注: Comes with complete operator’s manual.